Brent crude oil prices hit their highest level since November 2014 on Monday ahead of U.S. sanctions against Iran that kick in next month. Brent crude oil futures LCOc1 were trading at $83.24 per barrel at 0228 GMT, up 51 cents, or 0.3 percent, their highest level since November 2014. US West Texas Intermediate (WTI) crude futures CLc1 were up 37 cents, or 0.5 percent, at $73.62 a barrel. WTI prices were supported by a stagnant rig count, which points to a slowdown in U.S. crude production C-OUT-T-EIA. Brent was pushed up by the looming sanctions against Iran, which will start targeting its oil sector from Nov. 4. 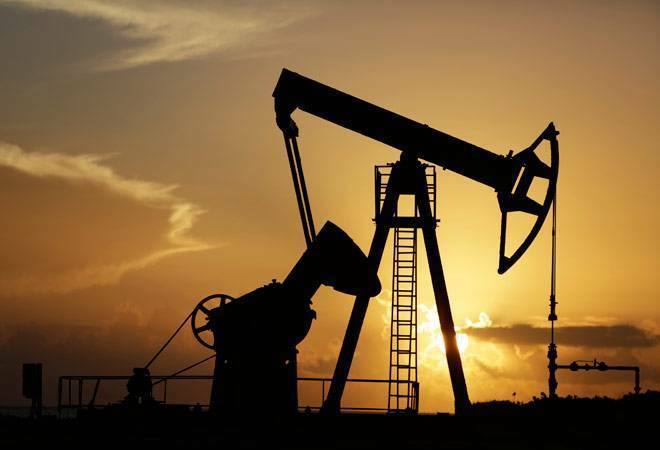 ANZ bank said on Monday that "the market is eyeing oil prices at $100 per barrel". There had been expectations China would ignore U.S. sanctions. However, China's Sinopec (600028.SS) is halving loadings of crude oil from Iran this month, in a sign that pressure from Washington is having an effect. "If Chinese refiners do comply with U.S. sanctions more fully than expected, then the market balance is likely to tighten even more aggressively," Edward Bell, commodity analyst at Emirates NBD bank wrote in a note published on Sunday. U.S. President Donald Trump called Saudi Arabia's King Salman on Saturday, discussing ways to maintain sufficient supply once Iran's exports are hit by sanctions. "Until sizable supply is offered up by OPEC, ultimately traders will continue to push the envelope even more," said Stephen Innes, head of trading for Asia-Pacific at futures brokerage Oanda in Singapore. "Even if they (Saudi Arabia) wanted to bend to President Trump's wishes, how much spare capacity does the Kingdom have?" asked Innes. "We're going to find out very soon as approximately 1.5 million barrels (per day) of Iranian oil is effectively going offline on Nov. 4. If the market senses that Saudi Arabia capacity is tapped out at 10.5 million bpd ... oil prices will rocket higher with the flashy $100 per barrel price tag indeed a reasonable sounding target," Innes said. With oil prices soaring, there are concerns over their inflationary effect on demand growth, especially in Asia's emerging markets where weakening currencies are further adding to high fuel import costs. Add the trade disputes between the United States and other major powers, especially China, and economic growth into 2019 could be eroded. Growth in China's manufacturing sector already sputtered in September as both external and domestic demand weakened, two surveys showed on Sunday.